Natural therapies, which include vitamin and mineral supplements and herbal remedies, can often do the job of drugs but with greater safety and at a lower cost. Vitamins and minerals play roles in normal biochemistry so they’re less likely to cause side effects. It is important to realise when using natural products that you are presenting the body with information (biological) that it recognises. 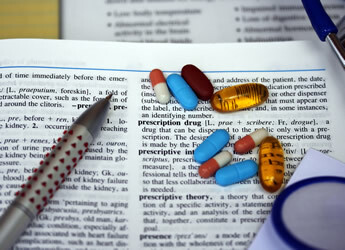 Modern medicines generally ask the body to work with chemical information that it doesn’t necessarily recognise and as a result the body has to make anything from small through to major adjustments – hence the list of side affects often found in over the counter products or those prescribed by your Doctor. We are not suggesting that you should ignore medical advice or cease taking prescribed medication, we’re just inviting you to think more widely about your choices and to discuss such matters, if they seem appropriate, with your medical practitioner. It’s important to not make the mistake of looking for the ‘magic bullet’ as in allopathic (modern) medicine because the current way of looking at health in the developed world is to think of disease in a linear way i.e. here is the problem and therefore this is the solution. However, given that the body is multi-dimensional and the things that cause ill health are multi-factorial e.g. stress, poor relationships, dehydration, inadequate nutrition, pollution etc. then the solution is nearly always multi-factorial in nature too. So the following suggestions should be seen as part of a strategy for health and not as a solution that stands alone (see: The Story of Health). 1. ANALGESICS. Analgesics are the best selling ‘over the counter’ (OTC) drugs in the UK, used to relieve headaches, muscle soreness and inflammation and pain related to arthritis and injury. Natural alternatives abound and include CAPSAICIN cream, made from the active ingredient in hot cayenne pepper which will ease joint or muscle pain. A cayenne tincture can be used in 0.3-1ml three times daily. Taken orally the OMEGA-3 fatty acids are powerful anti-inflammatories and ease pain from rheumatoid arthritis and injuries. Long term use of FEVERFEW inhibits blood-vessel dilation and can reduce the frequency and severity of migraines. Other studies have found MAGNESIUM and TAURINE (an amino acid) supplements sometimes help. The above conditions are often indicative of a liver that is not working optimally and therefore looking to cleanse the liver would be a valuable intervention. MILK THISTLE is a wonderful remedy for this purpose. 2. ANTACIDS & ANTI-GAS. While heartburn is characterized by excess stomach acid backing up into the oesophagus, its actual cause can be an undiagnosed food allergy or sensitivity. Eating fewer processed foods and taking time to eat slowly can often eliminate heartburn. Also VITAMIN C will temporarily lower your stomach acidity. LICORICE ROOT, rich in antioxidants, can relieve heartburn. If flatulence is a problem re-evaluate what you’re eating. Poor food choices combined with bad eating habits are probably amongst the most common reasons for digestive disorders. For example, it is important not to drink and eat at the same time because the fluid will wash away vital enzymes that are critical for the proper breakdown of food. If that bit of the digestive process is compromised, not only do we not get the nutrition we need from the food we’ve eaten, but the food sits fermenting in the gut, causing a multitude of health issues. Some foods such as beans, contain gas producing compounds. Therefore, other remedies to be considered are DIGESTIVE ENZYMES, which help with the proper breakdown of food and PRE and PRO-BIOTICS, which help in the cultivation of the healthy bacteria – both of which can help with flatulence and heartburn. 3. COLD REMEDIES AND LOZENGES. At best these OTC drugs relieve cold symptoms temporarily. You can do so much more than that with vitamins, minerals and herbs. If you feel a cold coming on ZINC LOZENGES sucked every 2 hours greatly relieve cold symptoms and cut the length of a cold by almost half. They are much more effective when taken at the start of a cold. Also high doses of VITAMIN C (2-6g daily) ease cold symptoms. Split the dose so that you take it several times during the course of a day and follow the ‘bowel tolerance’ concept. If you start to develop diarrhoea reduce the dose slightly. High doses of N-ACETYLCYSTEINE, a form of the amino acid cysteine, also relieve cold and flu symptoms and will bolster the immune system. Try 500-1500mg daily. The latest evidence is also showing that ECHINACEA is a superstar in this category because of its ability to strengthen the immune system. The role of BETA-GLUCANS is also worthy of mention because of their incredible ‘building-block’ ability to increase the effectiveness of the innate immune system. A good source of these ‘magicians’ can be found in brewers yeast. 4. ALLERGY RELIEF. These are the drugs commonly used to treat allergic rhinitis, the sneezing and thick headed feeling you get when you’re hypersensitive to pollens and other allergens. Alternatives include: VITAMIN C along with such antioxidant flavonoids as PYCNO-GENOL and QUERCETIN. All are natural antihistamines and they won’t make you drowsy. FEVERFEW, rich in flavonoids, might also relieve allergies. Originally from South Eastern Europe, feverfew is now common throughout Europe, Australia and North America. BEE POLLEN has a devoted following as a remedy for allergies. PROPOLIS LOZENGES help soothe a burning throat often associated with hayfever. It is important to state that although these treatment options are effective, it makes far more sense to try to identify the source of the allergy. To this end you may wish to consider being tested. There are a number of reputable options such as ‘Food Allergy Testing Services’ on 01823 325 022 and Yorktest Laboratories – see yorktest.com. 5. LAXATIVES. Being constipated is a sign that the balance in your diet is not right and that the metabolism is malfunctioning. Ex-lax and Metamucil might get you going but simply adding water and fibre to your diet is a much better way to get your body to eliminate waste. Drink at least 3.5 to 4 pints of water every day and this will enlarge and soften stools, while fibre speeds up the movement of food through the intestine. FRUIT AND VEGETABLES contain both fibre and water. Whole-grain foods/cereals are a good way to add fibre. There’s an added benefit because fibre moves cancer causing substances out of your digestive tract and reduces the long-term risk of large bowel cancer. DRIED FIGS and PRUNES will provide fibre and both have a mild laxative effect. Increasing your VITAMIN C intake will similarly loosen stools. If you’re eating a high-fibre diet but still get constipated from time to time then you may want to consider a COLON CLEANSE FORMULA which can help get the whole system going. Or taking OXYGEN CAPSULES at night before going to bed is another very effective way to encourage the discharge of waste. An increase in the EFAs (essential fatty acids-omega 3,6 and 9) is also a wonderful factor in the removal of waste. In fact, water and oil are at the head of this list. 1. OESTROGEN REPLACEMENT. Premarin is an oestrogen replacement drug, probably the best selling drug in the world, designed to counteract menopausal symptoms. Most women suffer severe gastrointestinal side effects from it and stop it after less than a year. Alternatives include ISOFLAVONES, which are a type of antioxidant flavonoid that have mild oestrogen like properties. Recent studies of menopausal women have found that isoflavones can reduce the number and intensity of menopausal hot flushes. The herb BLACK COHOSH has similar properties and a long history of treating menstrual cramps and menopausal symptoms. 40mg 2x a day is the usual amount. Black Cohosh is probably best taken as a tincture because in this form it goes straight into the blood stream for optimal effect. It should not be taken by those using hormonal contraceptives. When looking at oestrogen replacement one often needs to consider stress, poor quality of sleep and maybe depression, all of which can arise when women are facing these challenges, which makes HYPERICUM COMPLEX a wonderful choice. It takes 1-3 weeks to reach its full effectiveness and should not be used for more than 4 consecutive months. 2. ANTIBIOTICS. More than 90% of the British population will take prescribed antibiotics at some time. Antibiotics are indiscriminate killers. They are very good at wiping out infection but they leave a trail of devastation behind because they also wipe out the ‘good’ bacteria that reside in the intestines, making you more vulnerable to other infections. PROBIOTIC capsules or tablets containing beneficial bacteria have long been used to restore intestinal bacteria destroyed by antibiotics. It’s often useful to follow any course of antibiotics with at least 3 or 4 weeks of a probiotic formula. GARLIC is well documented for its antibacterial properties and its ability to increase resistance to infection (as well as supporting the cardiovascular system). Richard P. Huemer, M.D. points out that there is considerable scientific support for the immune system boosting herbs such as ECHINACEA and GOLD SEAL. This section would be incomplete without mentioning two of nature’s giants, namely OLIVE LEAF EXTRACT and OREGANO OIL. Both have an amazing capacity to attack and destroy bacteria, viruses and parasites. They are non-specific pathogen killers which means they will kill anything in the body that shouldn’t be there. No medicine cabinet should be without them! 3. ANTI-DEPRESSANTS. Nature’s pharmacy offers a number of solutions to depressive mood states such as PASSIFLORA, AVENA SATIVA, KAVA KAVA and ST JOHN’S WORT, which may be the biggest rival to prescribed anti-depressants such as prozac. There have been many articles published on St. John’s Wort. In the British Medical Journal Klaus Linde Ph.D showed that St. John’s Wort was significantly superior to placebos. VITAMIN B1 can also improve and stabilize mood according to a study by David Benton M.D. of the University of Wales, Swansea. We would want to stress here that depression is often linked to a life without meaning and purpose and so one of the best antidepressants is to look for those things that give your life that MEANING AND SENSE OF PURPOSE. Other valuable considerations are a balanced and varied diet and adequate exercise, both of which boost energy and a sense of well-being. 4. BLOOD PRESSURE LOWERING DRUGS. High blood pressure (hypertension) is a major contributor to coronary heart disease. Captopril or Beta Blockers are the most prescribed medication but there are natural and easy ways to lower blood pressure. Studies have found that CALCIUM, MAGNESIUM and POTASSIUM lower blood pressure. GARLIC supplements have also been reported to lower blood pressure. COENZYME-Q10 is frequently deficient in people with hypertension. When these people take supplements of CoQ10 –50mg daily, blood pressure goes down significantly. Another wonderful remedy is HAWTHORN which has a long history of success in this area. Probably the thing most overlooked in this area is the power of WATER. (see Wonder of Water 4). 5. ANTI-ULCER DRUGS. Most ulcers are actually caused by a bacterial infection, Helicobacter pylori, not excessive stomach acid. In the case of Helicobacter pylori, considering OLIVE LEAF EXTRACT and OREGANO OIL are infinitely better options. But if you have an ulcer not caused by this germ, consider trying two herbs, LIQUORICE ROOT and BILBERRY. Numerous studies have shown that a component of licorice (deglycyrrhizinated licorice) promotes the healing of ulcers. Eating more bilberries (which are rich in flavonoids) may also help treat ulcers. GLUTAMINE an amino acid, is a top source of energy for cells that line the small intestine and stomach. 500-1000mg of glutamine taken twice daily may also help ulcers to heal.